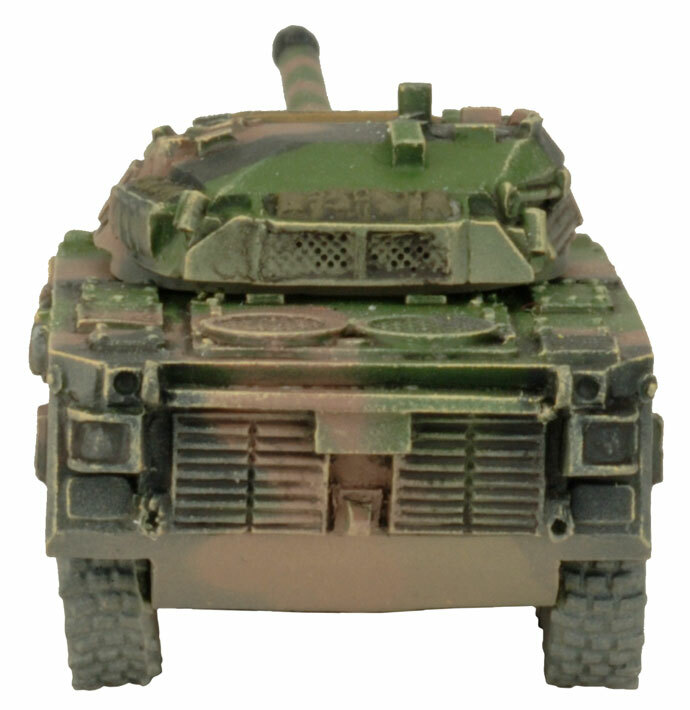 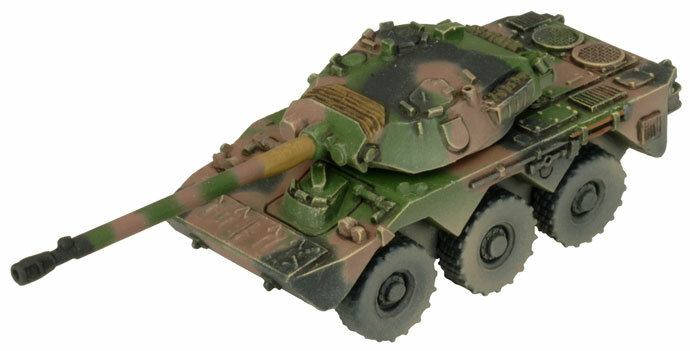 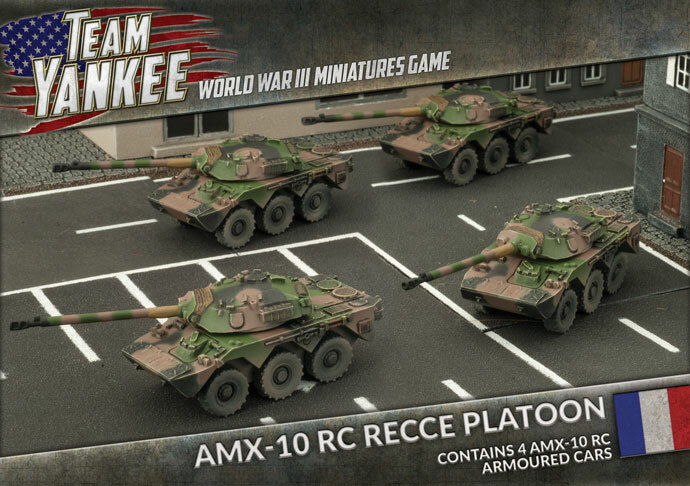 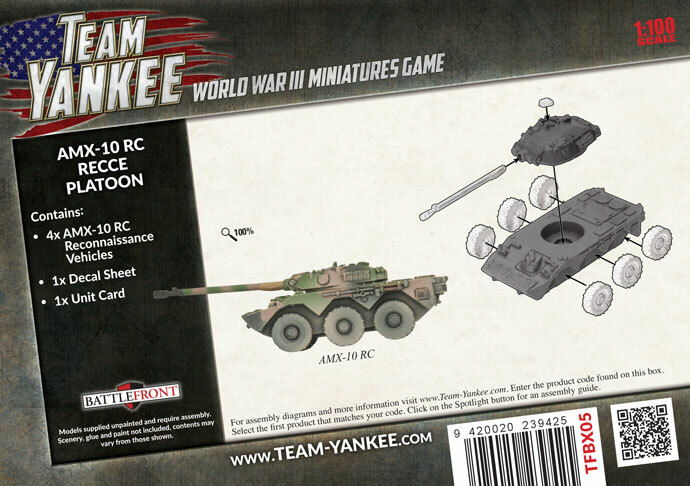 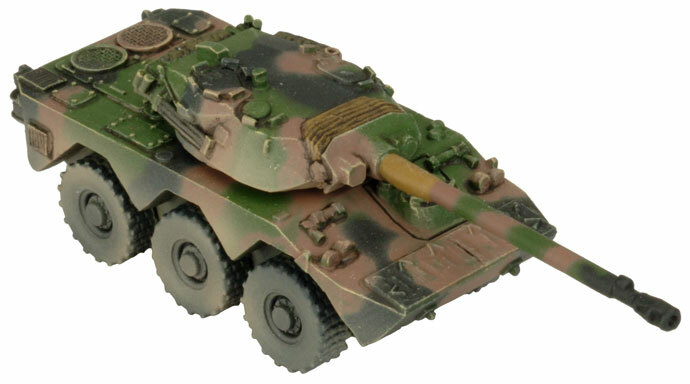 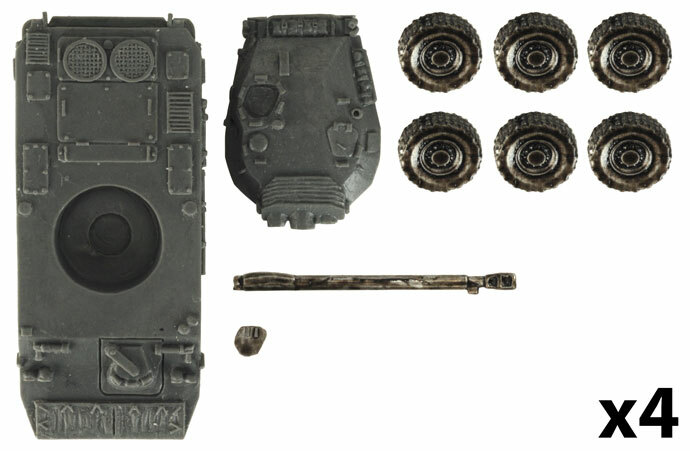 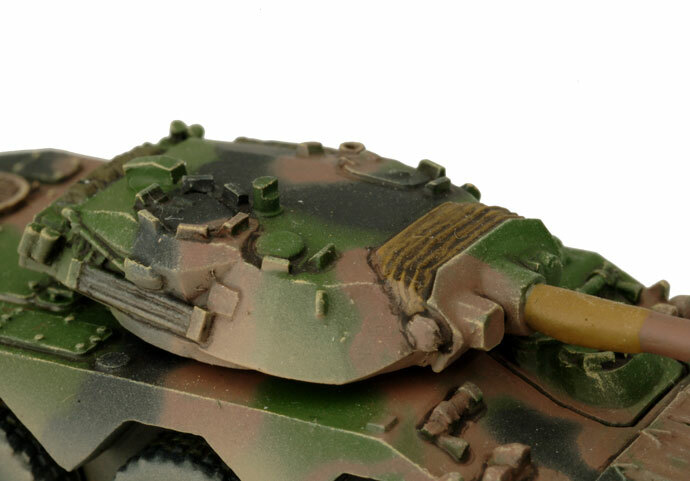 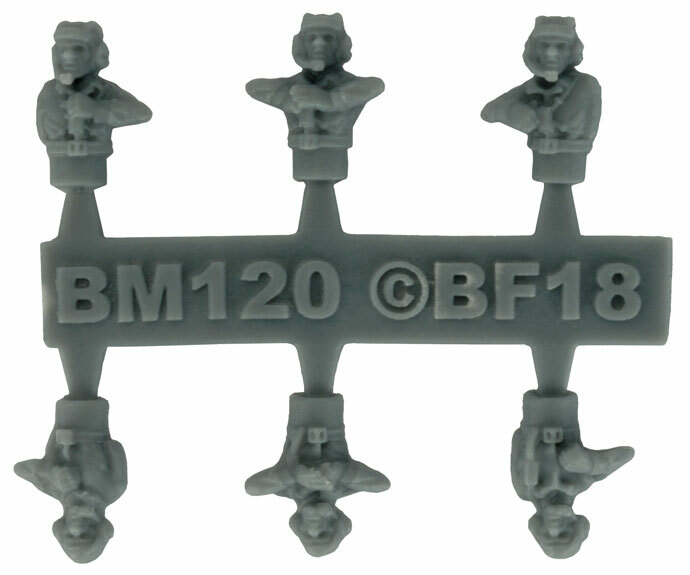 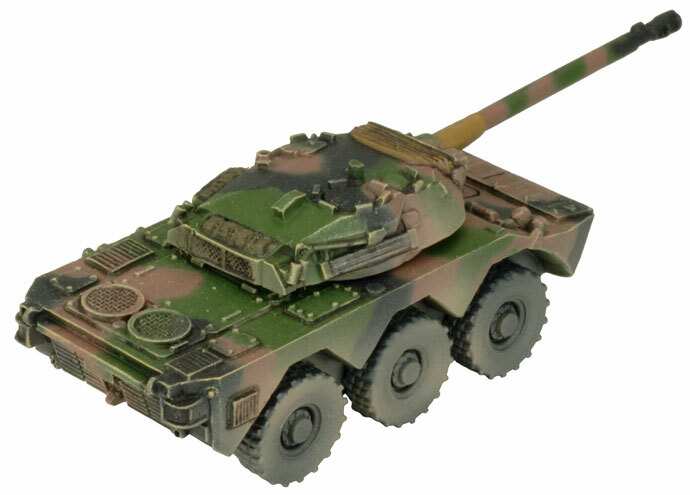 Includes four plastic AMX10 RC Reconnaissance vehicles, , one Decal sheet, and one Unit card. 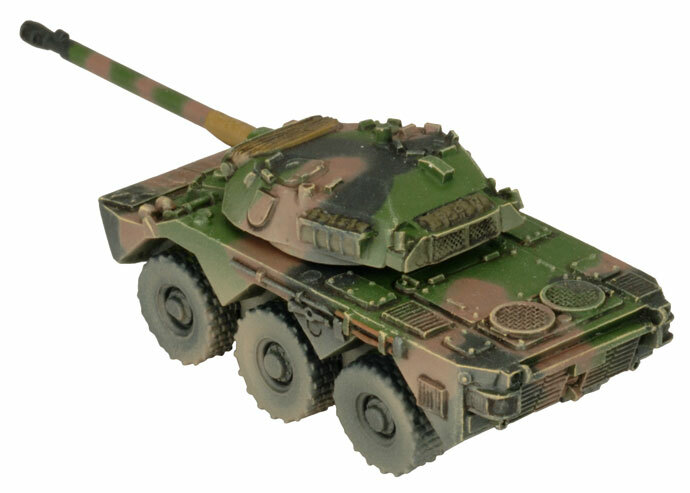 The AMX-10 RC is based on the same armoured chassis as the AMX-10P IFV, sharing many mechanical components. 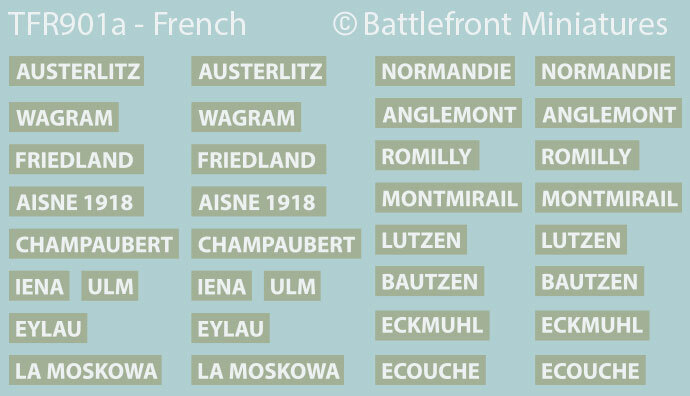 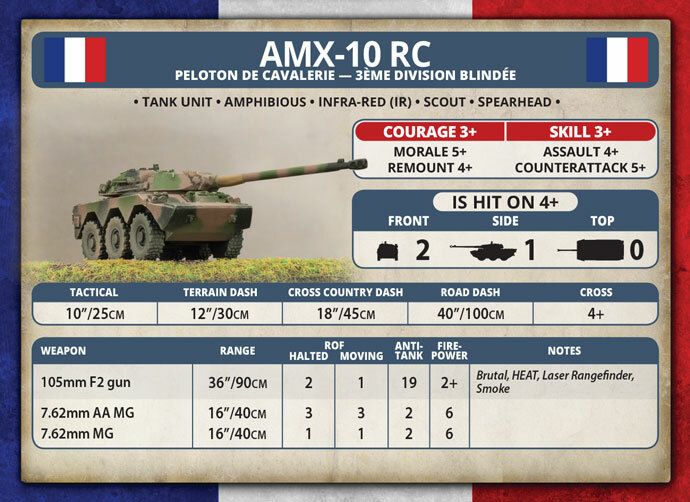 Compared to France’s NATO allies’ reconnaissance vehicles, the AMX-10 RC is rather heavily armed with a 105mm rifled gun similar to the one fitted to the AMX-30 main battle tank. 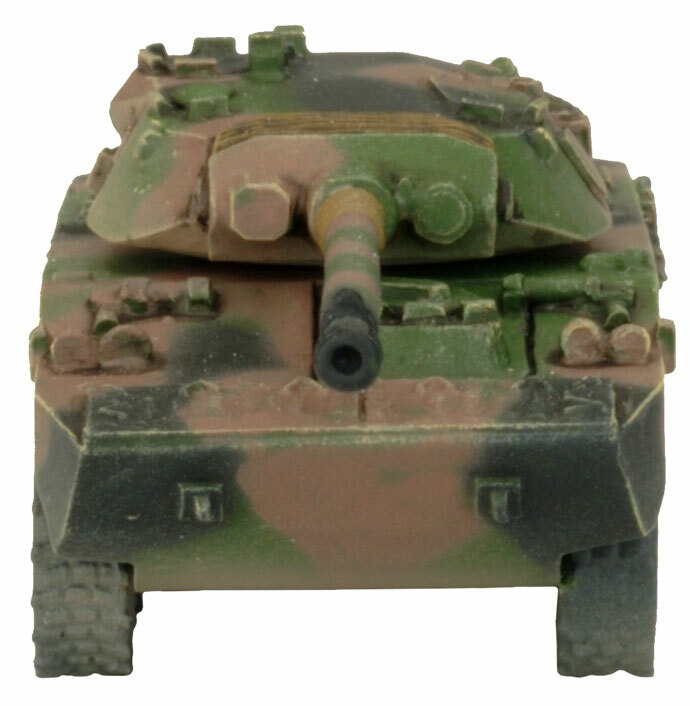 The AMX-10 RC's 105mm guns can easily destroy any Warsaw Pact reconnaissance vehicles.